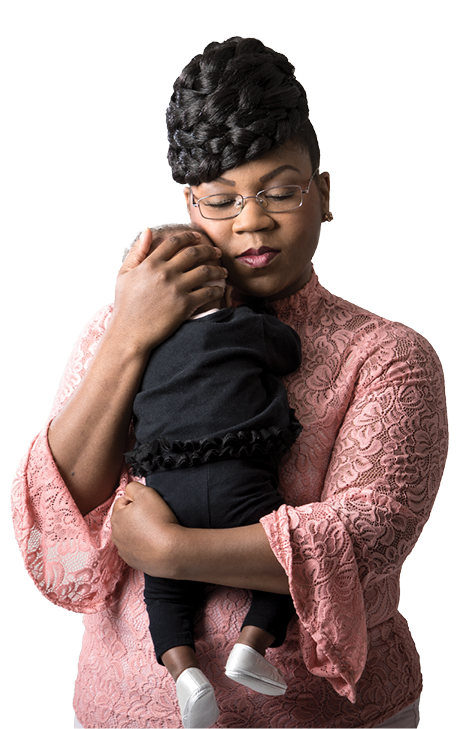 Because Chesapeake resident Shakeenah Moore was experiencing a high-risk pregnancy, an EVMS Maternal-Fetal Medicine specialist, Lea Porche, MD, was brought in to make sure all was well before she delivered her baby. As soon as tennis superstar Serena Williams gave birth last year via emergency C-section, she stopped taking her anti-clotting medications so her surgical wound could heal. The next day, she struggled for breath. At first, her medical team assumed she was fine. Finally, she convinced them to do a CT scan. It showed the clots in her lungs that Ms. Williams suspected. Though she was immediately restarted on her medication, it didn’t avert a slew of emergencies, including a pulmonary embolism and abdominal hematoma, according to national news reports. Fortunately, Ms. Williams recovered. Unfortunately, her experience is not unique. Nationally, black women are 243 percent more likely to die from pregnancy or childbirth-related causes than white women. In Virginia, it’s worse. Black women are 300 percent more likely to die in childbirth than white women, reports the Virginia Department of Health. Celebrity, education and socioeconomic status don’t matter. 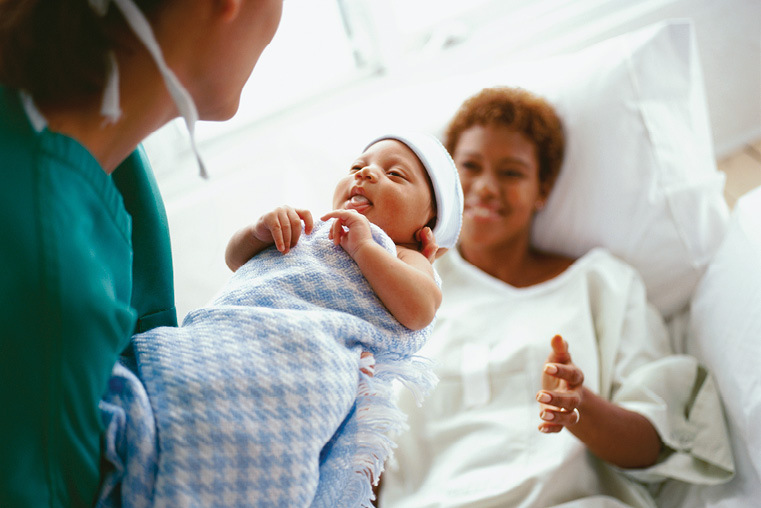 “Black, college-educated women who gave birth in hospitals were more likely to suffer complications than white women who didn’t graduate from high school,” says Amy Paulson, MPH, Instructor of Pediatrics and Director of the Consortium for Infant and Child Health (CINCH) based at EVMS. That alarms Lauren Powell, MD, Director of the Virginia Department of Health’s Office of Health Equity. While other factors play a role in this health disparity, Dr. Powell says racism cannot be ignored. Ensuring that conversation takes place at EVMS is the responsibility of Mekbib Gemeda, Vice President of Diversity and Inclusion and Assistant Professor in the School of Health Professions. 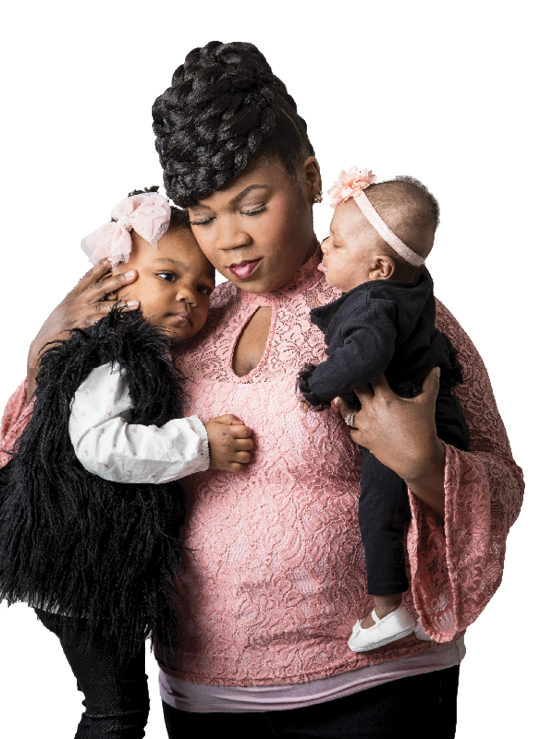 India Corneilus considers herself lucky because she had insurance and resources available during her high-risk pregnancy with daughter Belize. "It's scary to see that so many black women are dying doing something that is supposed to be safe and natural. Katrice Smith-Newsome speaks from experience about why this is a critical issue for black women. A patient of Sharon Sheffield, MD (MD ’92, Obstetrics and Gynecology Residency ’97), Instructor of Obstetrics and Gynecology at EVMS, Ms. Smith-Newsome has seen Dr. Sheffield in her Franklin medical practice for decades, including during her two pregnancies. Both of Ms. Smith-Newsome’s pregnancies were high-risk. Before getting pregnant, she had diabetes and high blood pressure, and during both pregnancies, she developed pre-eclampsia. Late in her first pregnancy, pre-eclampsia kept her on bed rest. A nurse stopped by daily to check her blood sugar, blood pressure and weight. Dr. Sheffield also runs EVMS’ rural obstetrics rotation, which enables third-year medical students to provide women’s healthcare under her supervision. “It’s a way we can make young doctors-in-training aware of the need for healthcare access in rural areas,” she says. EVMS students also learn about maternal health through the school’s service-learning program, which just added a new option: Mothers and Baby Mermaids. Each student is assigned to a mother on Medicaid, who agreed in advance to have a student help her navigate pregnancy and the healthcare system. Mothers and Baby Mermaids is led by Gloria Too, MD, Assistant Professor of Obstetrics and Gynecology. Not only will her students get clinical OB-GYN experience and partner with women in their pregnancies, she says, but they’ll also learn what patients on Medicaid go through. “Even experienced people find the system confusing,” Dr. Too says. EVMS Minus 9 to 5 and Loving Steps, two grant-funded programs based at EVMS, coordinate community resources that support the health of mothers and their babies. It’s likely that some of those women will make their first trip to a healthcare provider in years. But most haven’t skipped out on purpose. Seeing a doctor can be difficult for women who don’t have adequate health insurance, transportation, childcare or work coverage. 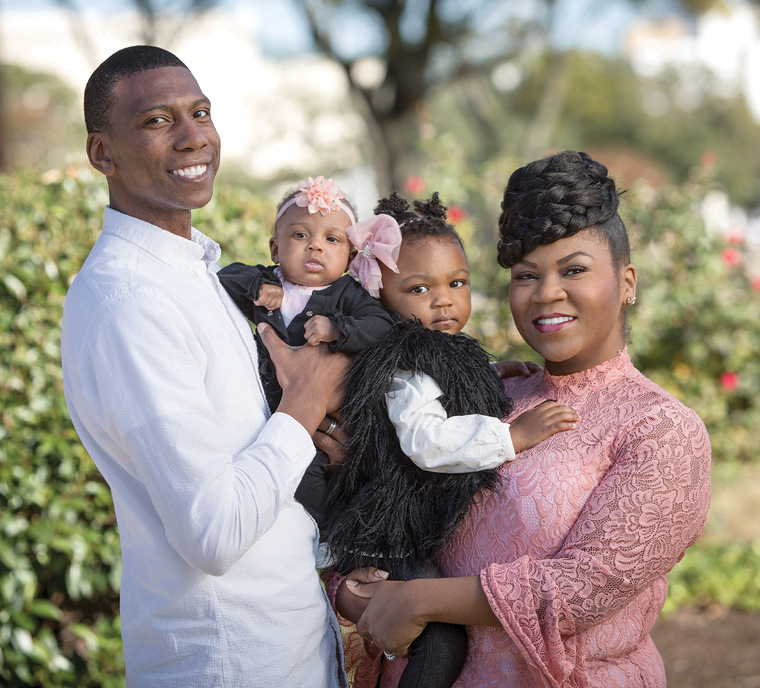 India Cornelius has given birth to two healthy children, Asia and Belize, despite having a high-risk pregnancy with her youngest. As a new Norfolk resident, Ms. Cornelius found helpful resources through Loving Steps, a Healthy Start program based at EVMS. Improving access to care is a goal of the Loving Steps program, which focuses on supporting the health of mothers and babies. Loving Steps also works closely with Minus 9 to 5, a community resource that aligns and coordinates care for children from pregnancy to age 5. Both programs are grant-funded and based at EVMS. Source: "Global, regional and national levels of maternal mortality, 1990—2015: a systematic analysis for the Global Burden of Disease Study 2015," The Lancet. EVMS clinicians also collaborate with area hospitals to help standardize the quality of healthcare across the region. The Ob Right program is an example. A nationally recognized patient-safety initiative, it grew out of a goal to improve safety practices for women, says Alfred Abuhamad, MD, the Mason C. Andrews Chair in Obstetrics and Gynecology, Vice Dean for Clinical Affairs and Professor and Chair of Obstetrics and Gynecology at EVMS. 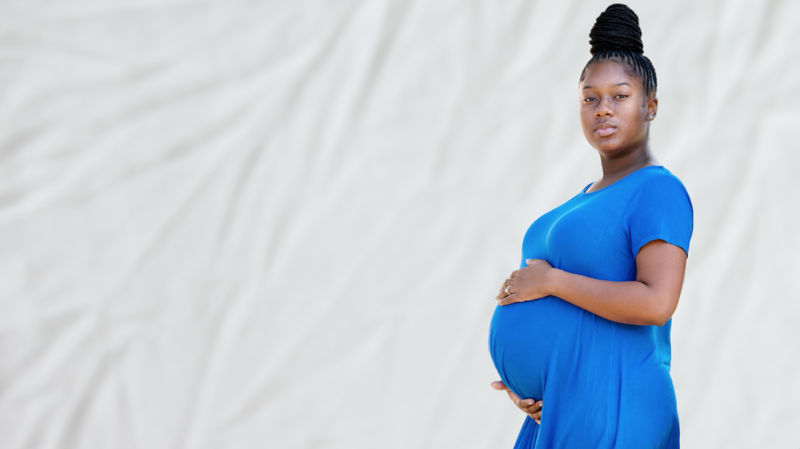 Nationally, black women are 243 percent more likely to die from pregnancy- or childbirth- related causes than white women. In Virginia, it's worse. Black women are 300 percent more likely to die in childbirth than white women. “It’s a council of physician and nurse leaders from each area hospital that reviews compliance, introduces evidence-based practices, helps standardize care and promotes safety,” says Dr. Abuhamad, who chairs the program in Hampton Roads. In caring for pregnant women, EVMS students and clinicians also have access to helpful tools, such as a postpartum hemorrhage kit, which measures blood loss and assists in determining if further medical action needs to be taken; fetal monitoring training that teaches a standardized way to interpret and communicate fetal heart rate; and simulations that teach students how to respond to maternal hemorrhage or seizure. Also, Emergency Medicine clinicians and referring physicians now have a standardized communication protocol to assess blood pressure for pregnant patients and triage accordingly. Maternal health is a priority for EVMS Research as well. For example, Gerald Pepe, PhD, the EVMS Foundation Chair in Biomedical Sciences and Professor and Chair of Physiological Sciences, leads research on how estrogen affects a mother’s vascular system and may contribute to pregnancy complications, such as high blood pressure and pre-eclampsia. Dr. Pepe’s team also is working to develop noninvasive technologies — such as imaging techniques — to view a placenta early in pregnancy and immediately address abnormalities. Emergencies can happen whether a pregnancy is high- or low-risk. And time lost may mean life lost. “We need to have staff trained in early triggers and managing them,” Dr. Abuhamad says. “Identification of complications and aggressive intervention to treat them has consistently been shown to save lives. To that end, pregnant women have a role, too. They need to recognize what to be aware of, like the warning signs of high blood pressure, hemorrhage, heart failure and blood clots. The simple message: Be like Serena — not a world-class athlete, but your own best advocate. The Cornelius family — Darian, Belize, Asia and India — are all smiles today. But when the Navy transferred the family to Norfolk in 2017, they were concerned about Ms. Cornelius' high-risk pregnancy. Fortunately, there were no complications. 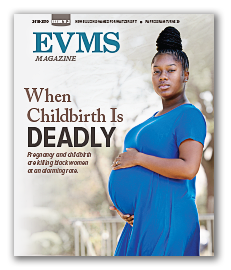 Here's more about some of the ways EVMS is addressing the high rate of black women dying in childbirth. Consortium for Infant and Child Health (CINCH): This EVMS-based organization is composed of children's advocates, health agencies, universities, hospitals, managed-care organizations and community and faith-based organizations from across Hampton Roads. Loving Steps: A collaboration between EVMS and the Virginia Department of Health, Loving Steps is a Healthy Start home-visit program staffed by community health workers. Their services include assistance with community resources, nutrition help and depression screenings. Loving Steps is free and open to families who live in Norfolk and are expecting or have a child under age 2.
education, nonprofit, businesses and government, all dedicated to improving the lives of young children and their families. Service Learning: At EVMS medical students must undergo at least 15 hours annually of service-learning training. Mothers and Baby Mermaids is one of 21 options, which include bystander CPR, emergency medicine and health literacy. Ob Right: EVMS clinicians serve on this team, which comprises representatives from women's health, clinical effectiveness, information technology, laboratory, pharmacy and neonatology. Ob Right's successful projects have included standardizing care for pregnancy-related blood clots and elimination of early elective C-sections. Photography by Eric Lusher and Doug Gardner.